Six people people were killed and seven remain missing as a wildfire in Northern California that burned hundreds of structures grew to nearly 90,000 acres Sunday. Shasta County Sheriff Tom Bosenko said a sixth person died as a result of the Carr Fire, during an afternoon press conference. Bosenko didn't provide any further details about the victim, but said the case was under investigation. He added seven people remained missing after nine had been found safe on Sunday. [post_ads]"We're finding that there are a lot of communication issues" making it hard to locate residents," Redding Police Sgt. Todd Cogle said, according to CNN. "We spoke with several people who left their cellphones at their residences and in this day and age people don't remember people's phone numbers." The Carr Fire grew to 89,194 acres and remained at 5 percent containment, as 3,388 total fire personnel worked to combat the blaze that began on Monday, according to Cal Fire. "Extreme fire conditions continue to challenge firefighters last night," Cal Fire said. "Erratic winds and hot dry conditions resulted in greater growth and increased fire behavior during night operations." 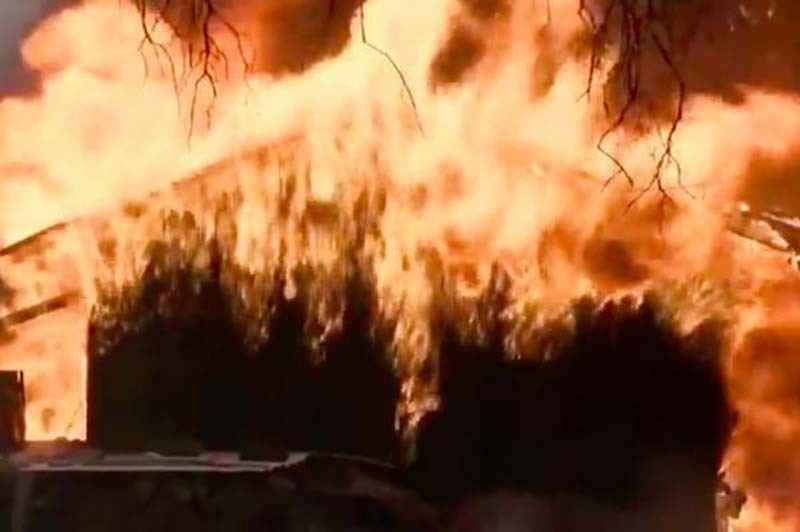 Five people, including 70-year-old Melody Bledsoe and her two great-grandchildren, were confirmed dead Saturday after they had been missing since Thursday and three Marin County Fire Department firefighters were injured. Authorities have ordered many evacuations and closed dozens of roadways due to the fire. The blaze has also destroyed 517 structures and damaged 135 more. Cal Fire said 5,012 structures are threatened by the fire. Several other wildfires burned throughout the state on Sunday, including the River Fire in Mendocino County, which has burned 11,028 acres and destroyed four residences and one outbuilding since it began on Friday. The Ranch Fire, which also started in Mendocino County on Friday, grew to 13,242 acres and was at 5 percent containment Sunday, Cal Fire said.